In a Nutshell: Budgeting and tracking finances are two of the most important steps consumers can take toward a healthy financial life. And there are a plethora of ways to accomplish that these days, but Toshl stands out with its well-designed, lighthearted approach to personal finance management. The program offers a comprehensive financial overview that allows users to connect multiple accounts, manage budgets, track expenses, and set goals. Users will also smile at Toshl’s humorous style and helpful Toshl Monsters. Every now and then, when it occurs to me that as an adult I don’t have to do homework anymore, I experience a sense of appreciation and a flutter of excitement. I still remember high school math problems or college research papers hanging over my head like a big, boring black cloud. Of course, there are plenty of other responsibilities that come with being a functioning adult — they’re just organized a bit differently. But occasionally one of those grown-up chores comes dangerously close to feeling like homework. Right at the top of that list is budgeting and tracking finances. Yet, it has to be done. 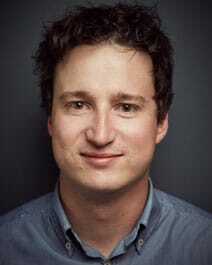 Matic Bitenc is the Co-Founder and CEO of Toshl. Finance experts time and again emphasize that these are the cornerstones of a healthy financial life. Thankfully, Toshl has made budgeting and tracking spending quicker, easier, and — wait for it — fun. The quirky company was founded in 2011 in Slovenia with the mission to bring both humor and accessibility to a comprehensive financial app. And that lighthearted and relaxed approach starts in the Toshl offices, said Co-Founder and CEO Matic Bitenc. The Toshl team carries over the Slovenian tradition of wearing slippers at home into the workplace, and can often be found joking with one another as they accomplish their work, he said. It is only natural — Bitenc has spent time doing improv and stand-up comedy. “Our slogan is to make finance fun,” Bitenc said when we sat down to discuss Toshl recently. At its core, Toshl is a multiplatform, comprehensive personal finance app that has all the functionality for users to participate in the modern finance world. Toshl Users are able to set financial goals, establish budgets, and track expenses through the app, which is available for for iOS and Android, as well as desktop and tablet versions. The app includes a number of useful functions, like reminding users how much they have left to spend within their budget and nudging users when they are approaching their budget limit. Toshl provides a comprehensive suite of personal finance management tools. Users can also connect multiple financial accounts to banks in the U.S. and Canada or enter expenses manually with a quick four-step process. For those who connect their accounts, expenses are automatically logged and categorized. Bitenc said Toshl has users in every country in the world except North Korea, “for obvious reasons.” Its widespread user base is due, in part, to the app’s ability to handle multiple currencies, which Bitenc said is one of Toshl’s core benefits. Freelance developers and expats make up a significant portion of Toshl users because of the multicurrency functionality, Bitenc said. And the ability to see all your expenses in one place pays off for users, he said. Bitenc recently heard from one Toshl user in the Czech Republic who quit smoking after tracking his expenses and seeing just how much money he was spending on cigarettes. “We were really excited to hear about that,” he said. 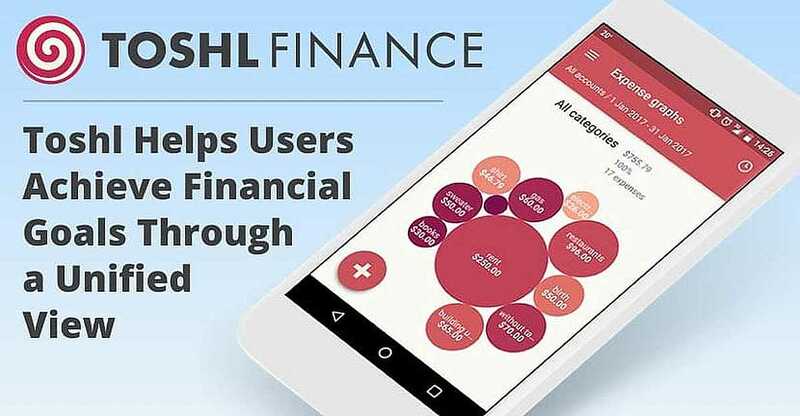 Toshl’s efforts to develop an app that stands apart from others are evident with its thoughtful design and fun approach to personal finance. Toshl Monsters inject humor and a lighthearted approach to the Toshl app. 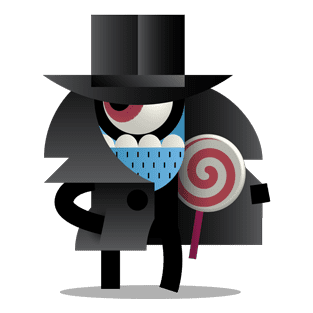 Among the things that stand out for most users are the Toshl Monsters. The company developed a cast one-eyed mascots to lead users through the app with humorous visuals and comments. The one-eyed Toshl Monsters are more along the line of friendly-faced Pixar characters than creatures that might fuel your budgeting nightmares. Another visual component that stands out is Toshl’s river flow graphic. The river metaphor follows through with budget dams and the width of the flow representing its size. The Toshl team also pays close attention to user feedback. Bitenc said getting direct feedback from Toshl’s users has proven very valuable, and it helps to see how the app’s functionality is impacting people and how the company can better meet the needs of its users. Toshl is currently available at three different pricing tiers. Users can download and use Toshl’s basic version for free. This allows users to create up to two budgets and link up to two financial accounts to their Toshl profile. Users can also export data to a CSV file with the free version. Based in Slovenia, the six-member Toshl team’s slogan is to make finance fun. Toshl Pro users can also use the touch ID feature in the mobile apps. The Toshl Pro version costs $2.99 per month or $19.99 per year — which comes to $1.67 a month — for users who pay for a full 12 months at a time. Users can also pay for 36 months at $1.67 per month for a total of $59.99 and get free Toshl socks or a t-shirt. 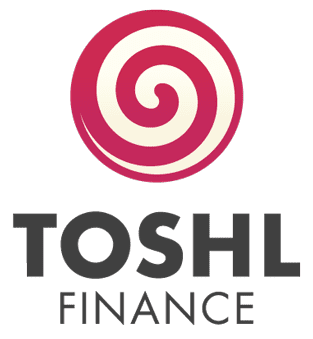 Finally, Toshl offers its top-tier Medici version, named after the famous Italian banking family and comes with all of the Toshl Pro features and adds the automatic bank syncing feature, Bitenc said. Similar to the Toshl Pro pricing, Medici users can pay $4.99 per month or receive a 33% discount at $3.33 per month when they pay for a full 12 months. And those who pay for 36 months at once for a total of $119.99 receive free Toshl socks or a t-shirt. Toshl began offering a one-month free trial for the paid versions earlier this year, and Bitenc said the vast majority of users stay on the paid versions once they try them. The thought of tracking monthly expenses and working on budgets can make people daydream about doing just about anything else, but with Toshl personal finance doesn’t have to be a chore. Bitenc said Toshl will be able to reach even more users as it works to add around 3,000 bank connections across the globe in the coming months. “With our current bank connections only in the U.S. and Canada, adding these new connections will allow us to reach a lot more users all over the world very shortly,” he said.